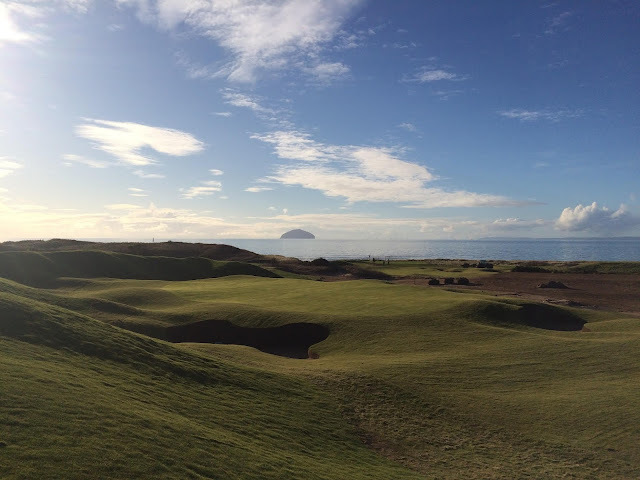 Things are certainly progressing at Trump Turnberry and the Ailsa course is shaping up nicely for it's June 1st opening. The latest images to come from the resort show the course being 'Re-Born' with some significant changes especially around the famous lighthouse. 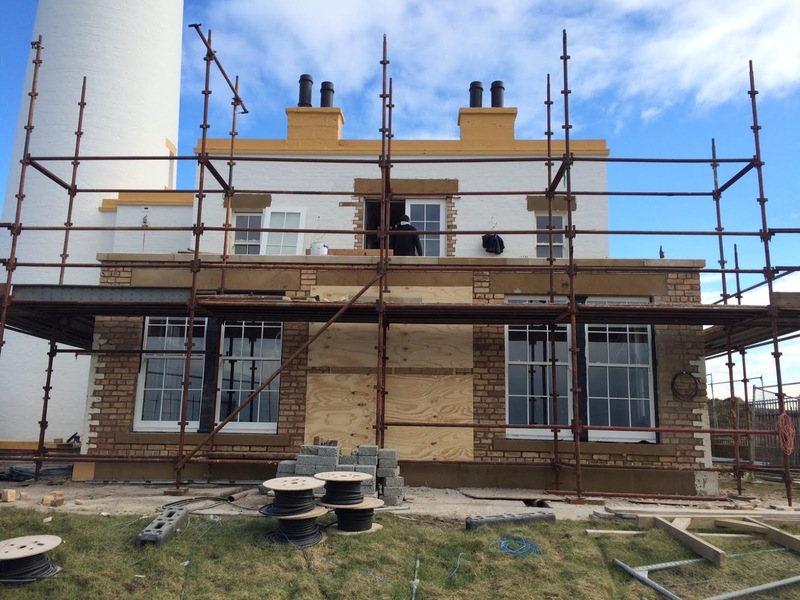 The lighthouse itself is under going a re-furb with the intentions of becoming a luxury suite as well as the new half way house. Quite possible the most spectacular accommodation of any golf course in the world! "We are pleased to report that the renovations of both the main hotel and golf course are gathering momentum an are well on their way towards completion and the reopening on the 1st of June. The golf course changes are really starting to take shape and course architect Martin Ebert is very pleased with the progress of the changes which have even surpassed his expectations. All 18 greens have now been completed and all the revetted bunkers are now in place. The final phase of the golf course redesign will involve the completion and turfing of the fairways on the lengthened holes such as 1, 7, 14 and 18 and finishing the tee boxes. The refurbishment to the main hotel is also working it's way towards completion. With the majority of the public areas and conference space being completed during the last year, it is only the reception and check in areas, along with the bedrooms that are still to be completed. A lot of work has also been done to revitalise the condition of the hotel building with a huge focus on the windows, roof and the overall facade. The new bedrooms are also going to have an incredibly luxurious feel and have great consistency across the resort which Turnberry has not had for many years. One of the most exciting enhancements to the resort is the inclusion of what will become the Lighthouse Suite and halfway house. 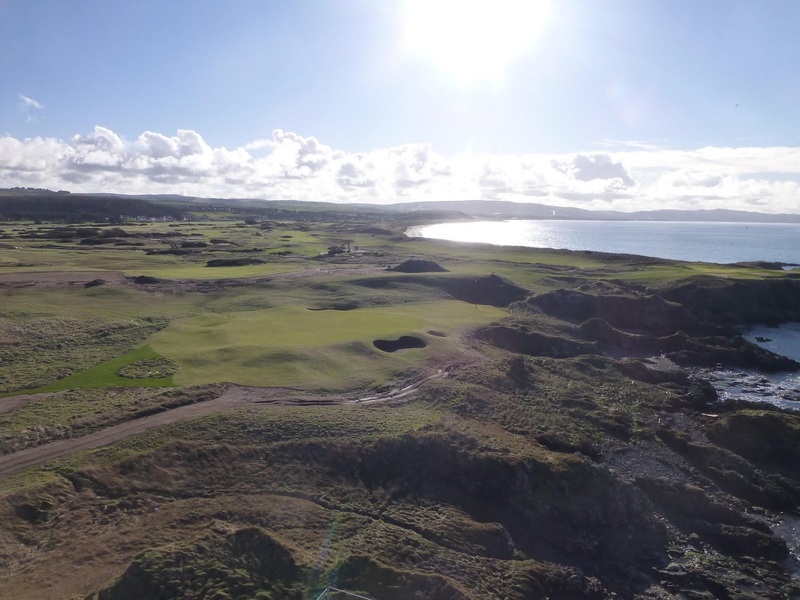 The Lighthouse is synonymous with Turnberry and is going to become not only the halfway house facilities for golfers playing The Ailsa, but also one of the most iconic and luxurious suites anywhere in the world. The two bedroom suite will incorporate a large living and dining room downstairs, while upstairs will comprise of two double ensuite bedrooms, each with incredible balconies overlooking the 9th and 10th tee, or alternatively out over the Ayrshire coastline with unrestricted views of The Ailsa Craig."